22 schoolgirls suffered 'mass demonic possession' after apparently summoning an evil spirit while playing a game of 'Charlie Charlie'. 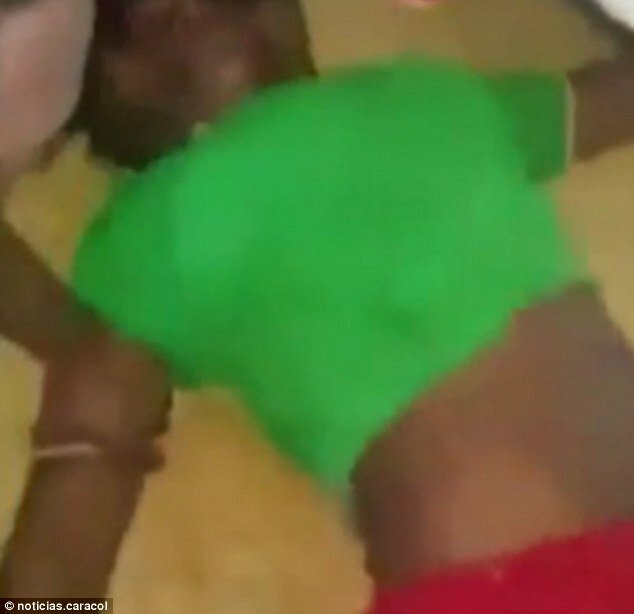 The girls aged between 12 and 15 took ill in the Choco region of Colombia and were filmed screaming and writhing on the floor in some chilling footage. Other victims began foaming at the mouth while experiencing hallucinations and another even claimed she could see a 'man dressed in black'. According to Colombian television network Caracol, the girls were taken to a medical centre in Novita where they had to be restrained while fitting. The schoolgirls, who were all found to be suffering the same symptoms, first experienced seizures while at school after they had finished playing a game of 'Charlie Charlie'. The game, involves two pencils balanced on top of each other over a grid with the words 'yes' and 'no'. A number of medical tests were conducted and doctors ruled out the possibility of disease, intoxication or use of hallucinogenic substances. No consistent health problems were detected and the girls' vital signs eventually returned to normal. Local mayor Deyler Camacho spoke to villagers following the incident and asked them to remain calm. Meanwhile, a local pastor has started praying against witchcraft.